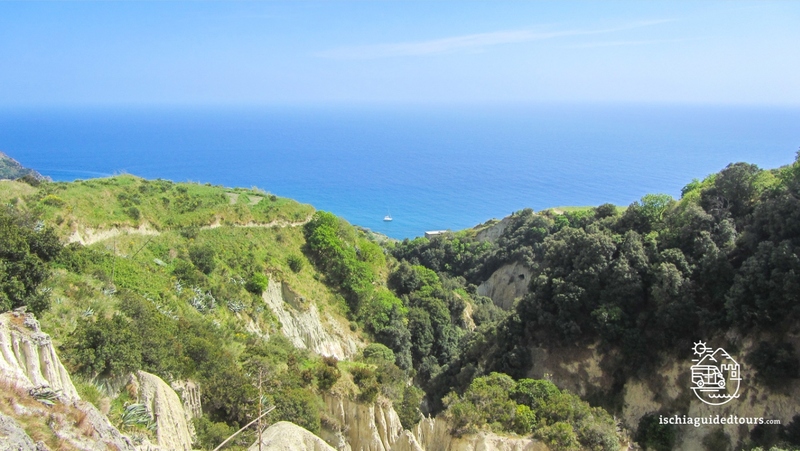 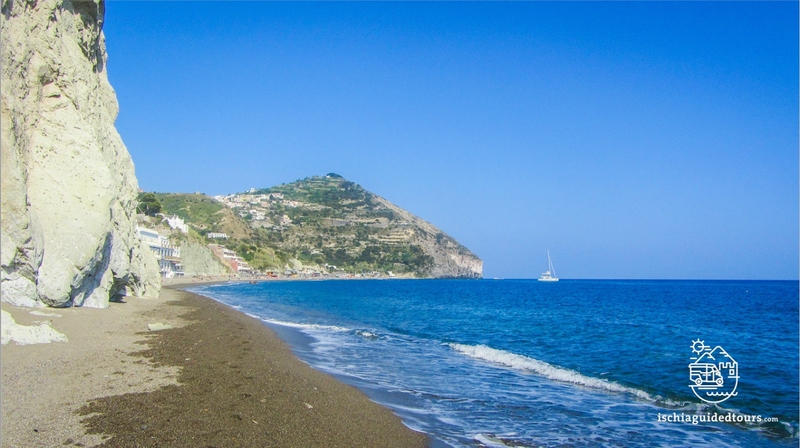 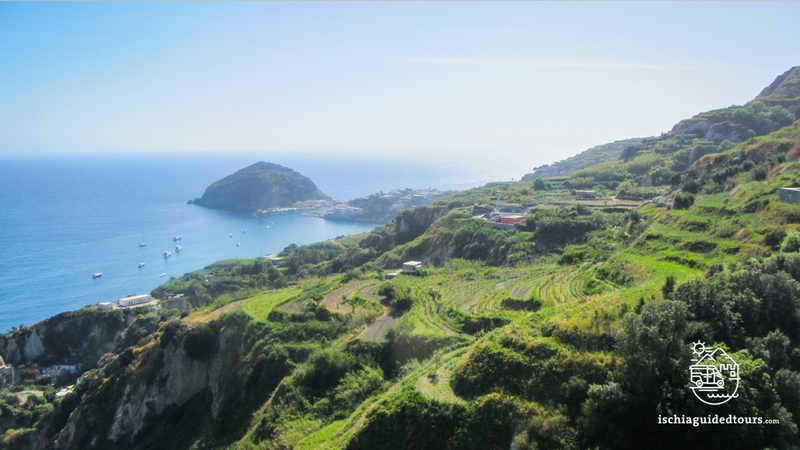 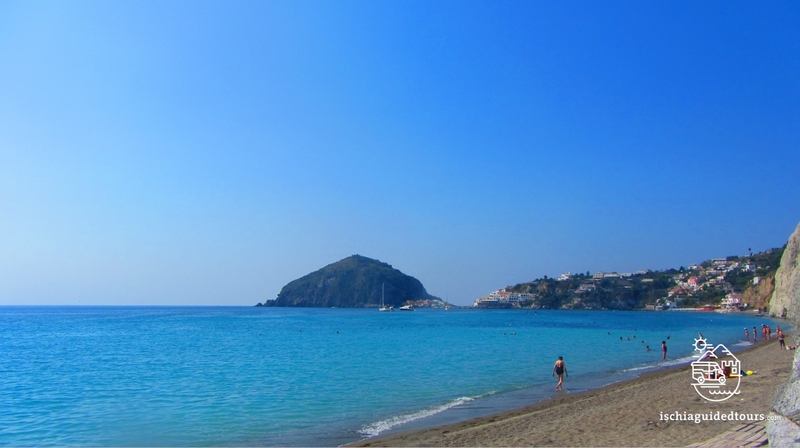 The trek from Pizzi Bianchi to Maronti beach is a walk that starts from the highest town of Ischia, Serrara Fontana, and ends on the beach of Maronti, on the south coast of the island. 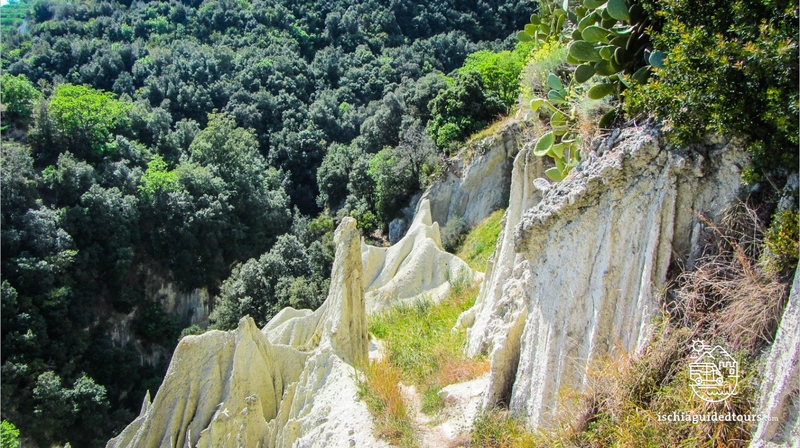 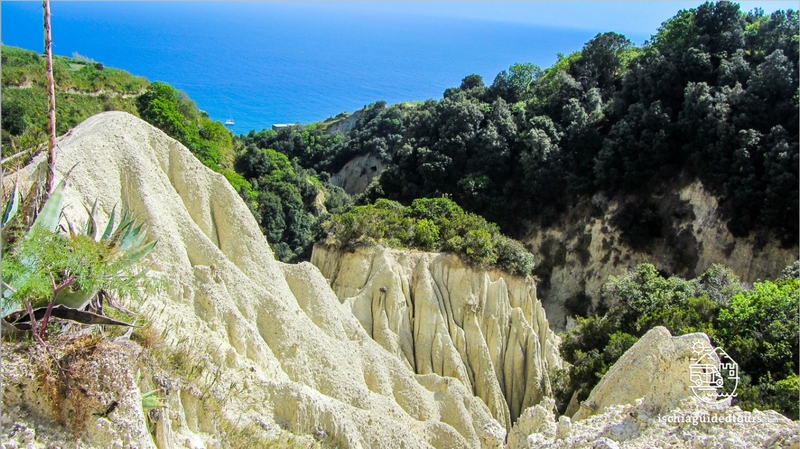 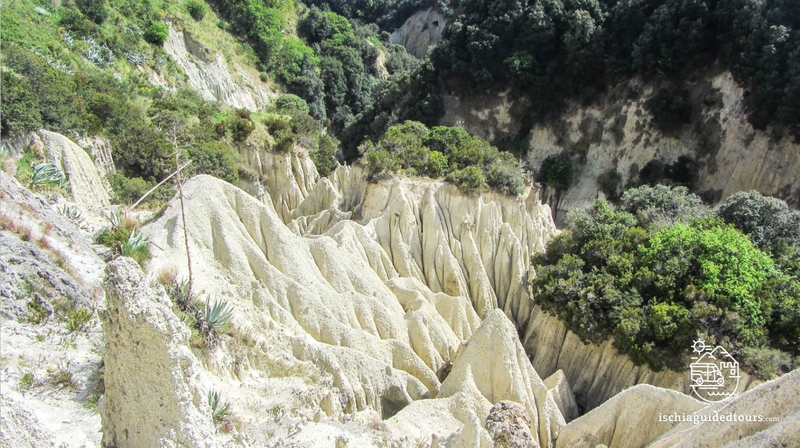 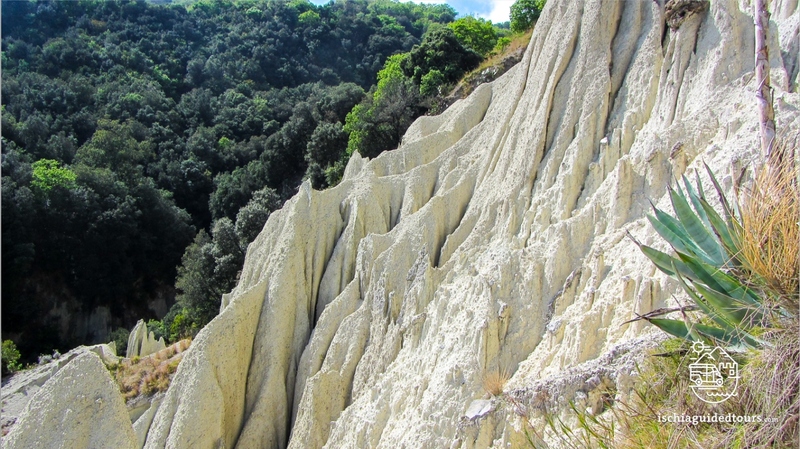 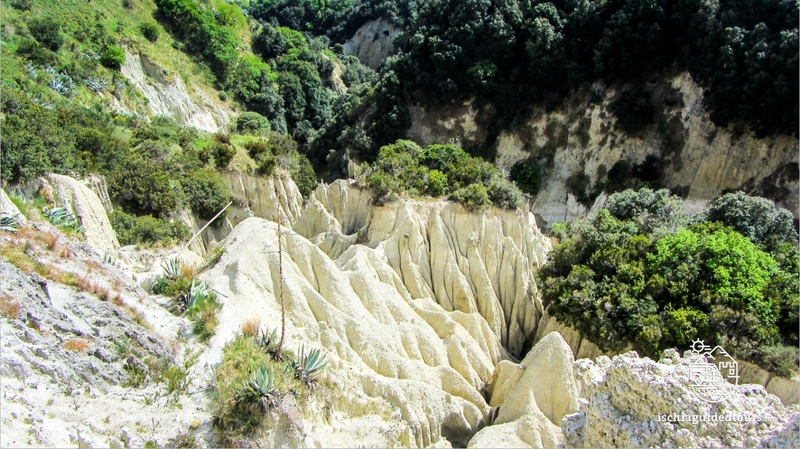 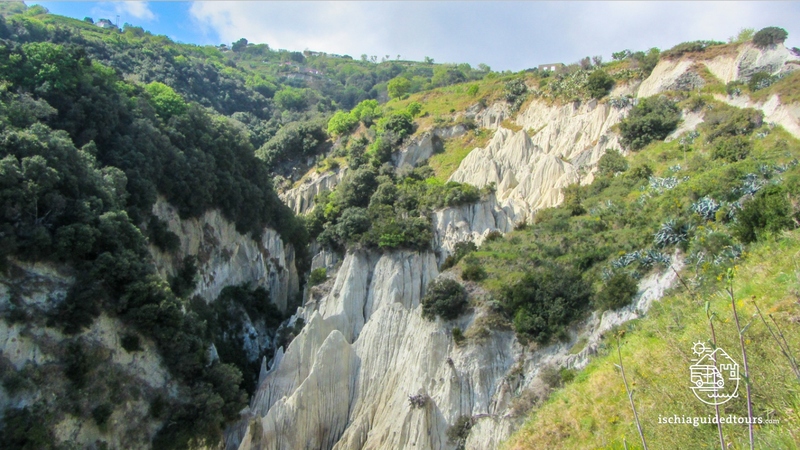 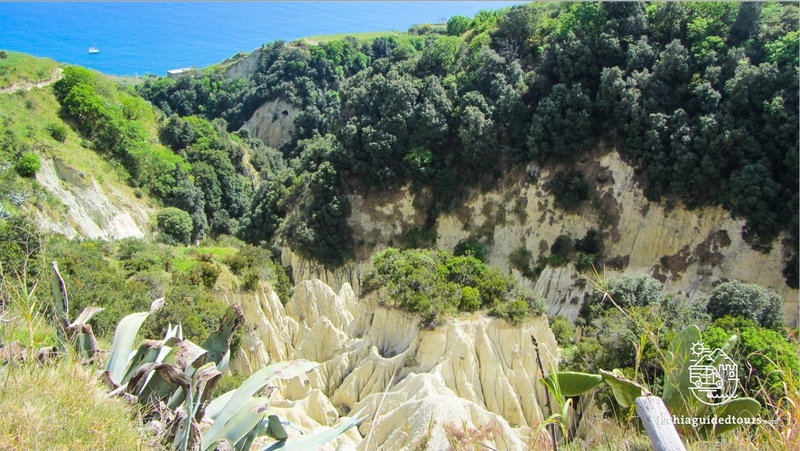 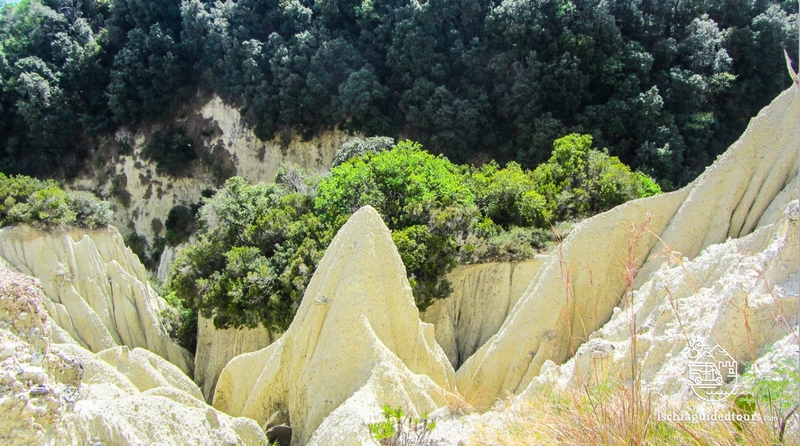 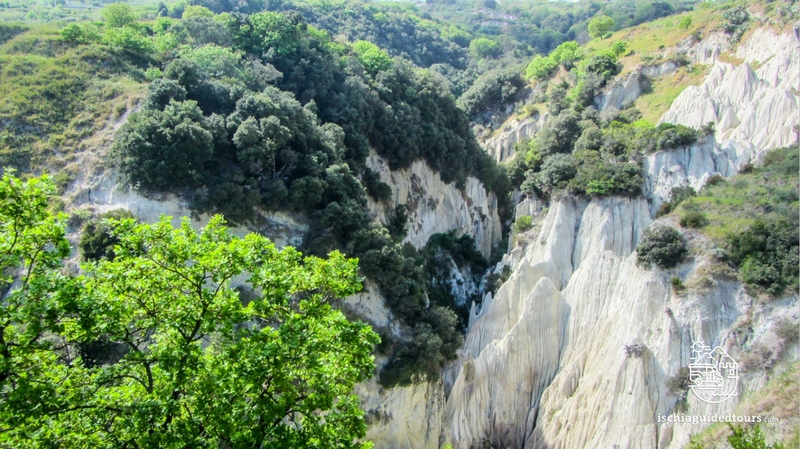 Along the trek, on a steep slope, we flank a deep valley with high and sharp pinnacles called the “Pizzi Bianchi” (white peaks), a stunning geological process of erosion of rocks caused by the atmospheric agents for thousands of years, similar to the “Fairy’s chimneys” in Turkey. 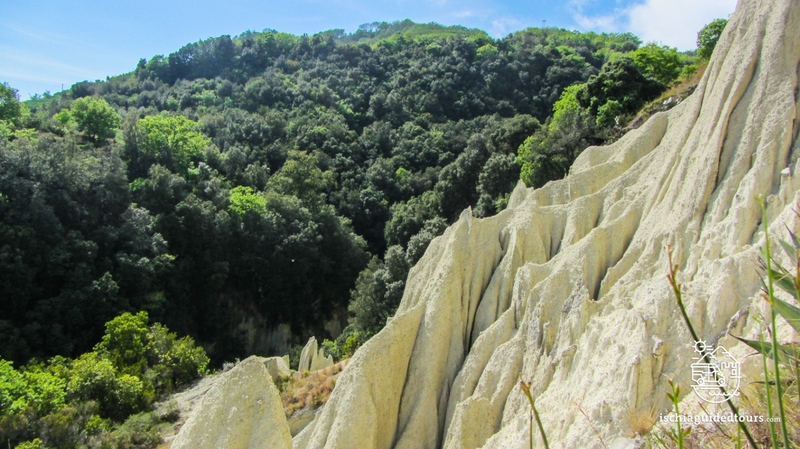 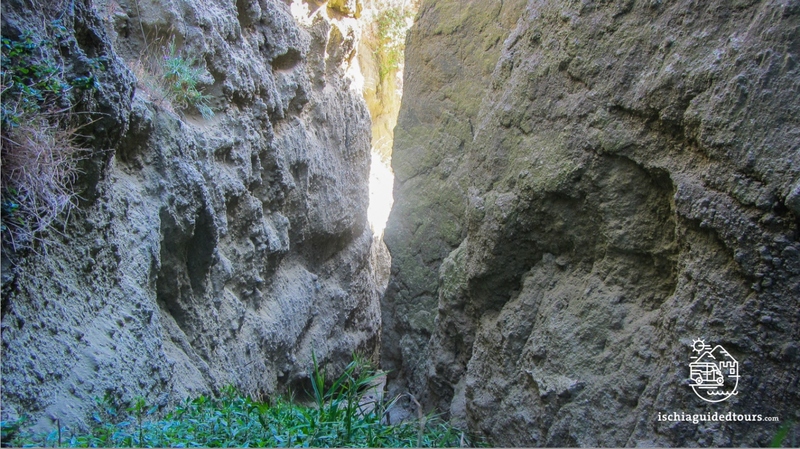 After passing the Pizzi bianchi valley we keep walking down into a narrow canyon, before reaching the coast, passing Cava Scura thermal park and then the beach of Maronti. 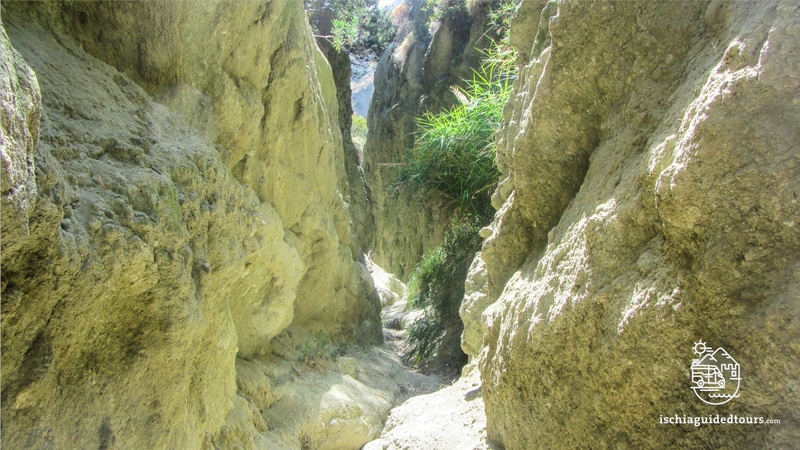 The path is quite steep and slippery and it requires a good level of fitness. 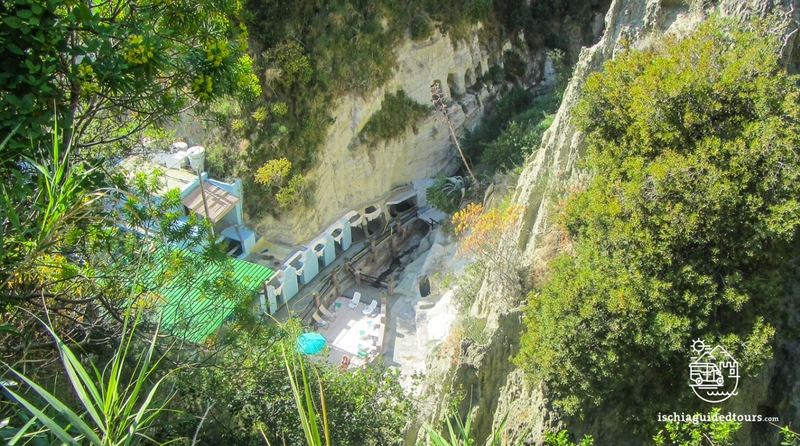 It is not recommended to people who suffer from heights.